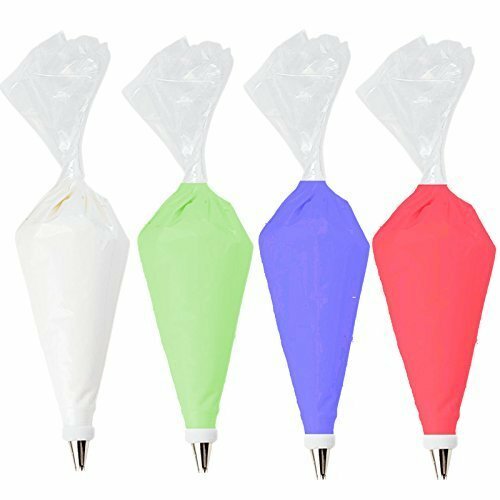 Pastry Bag -50 Pack-16-Inch Extra Thick Large Cake/Cupcake Decorating Bags-Disposable Icing Piping Bags Set by TANGCHU at Mystic Oaks. MPN: 4001-50. Hurry! Limited time offer. Offer valid only while supplies last. Easy-to-use, Convenient Cleanup Disposable Bags are made to use and toss-no fuss, no muss. Made of strong, flexible plastic, they're easy to handle.